Nurburgring-spec ID.R commences testing - Update! What is 'fun' in a McLaren context? 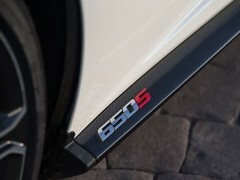 It was a surprising word to hear continually cropping up during the pre-Geneva technical presentation for the 650S, underlining a desire to be considered life and soul of the supercar party. Rather than the bookish nerd in the corner. OK, no favours were done by claiming 'fun' is a product of clutch actuation maps - with graphs to prove it - but the point was there. 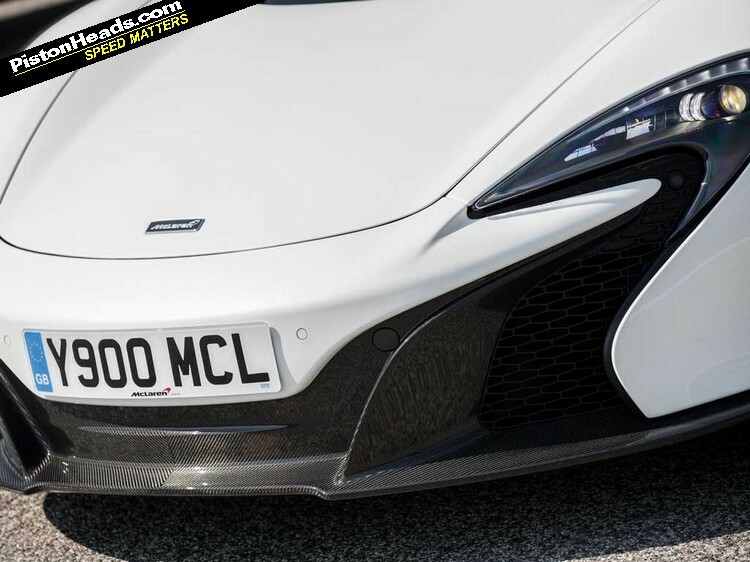 They even acknowledged that going sideways might actually prove enjoyable too and that the 650S was more inclined to accommodate such desires. 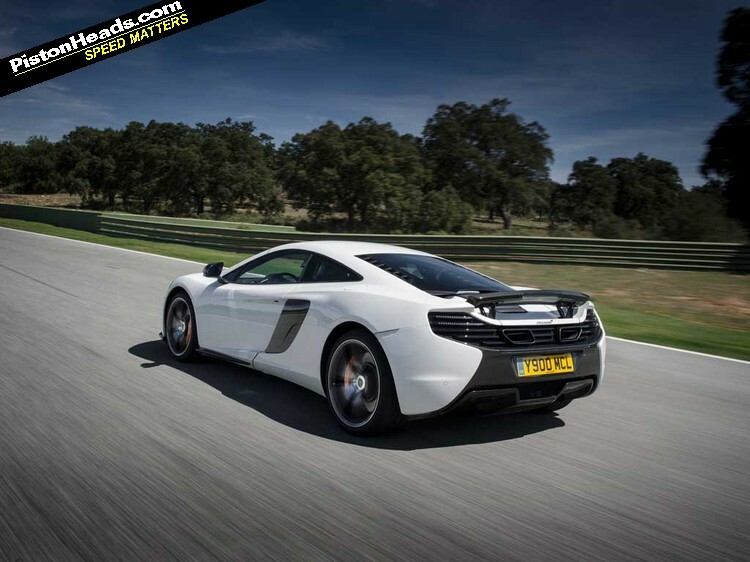 But if you equate fun to going fast then the 650S certainly nails that particular objective. 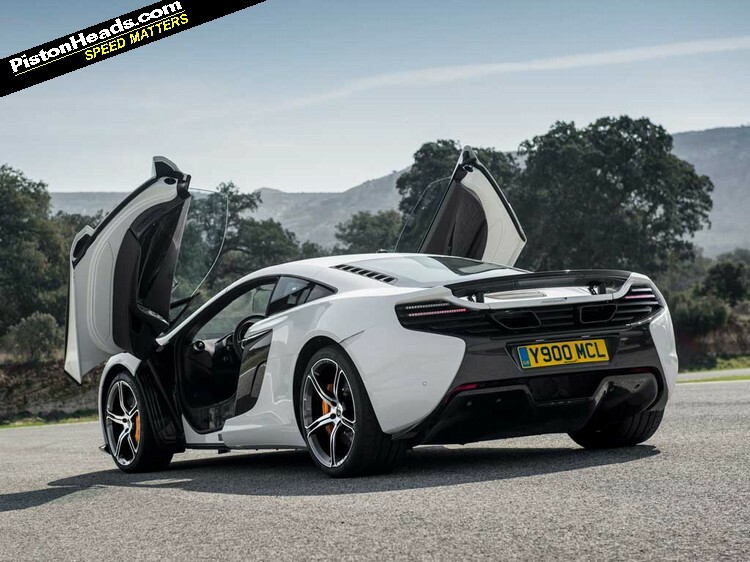 The 12C has never been criticised for its lack of performance but, by heck, there's a ferocity about the way the 650S gathers pace that feels much more significant than the on-paper increases of 25hp and 58lb ft over the 12C. Think Wile E. Coyote straddling a giant Acme firework and you get the idea. 650hp is, quite frankly, a lot. 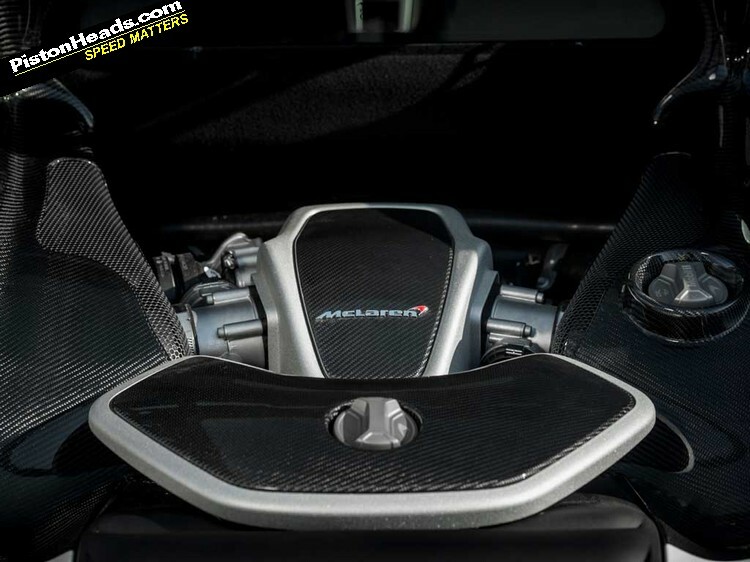 But it's the 500lb ft of torque, and the way it erupts from 3,000-7,000rpm, that really transforms the 650S into what feels like a different league of performance. To put that into context a 458 Speciale has 398lb ft and the Lamborghini Huracan 413lb ft, but not until the rev counter shows 6,500rpm. You can short shift it and ride the fast-swelling boost; you can rev it out in a lower gear to an angry sounding 8,000rpm. Either way, merest suggestion of lag aside there is never a point in the 3.8-litre V8's power delivery where it feels any less than rampant. Suddenly those operatic normally aspirated Italians seem a little hoarse. 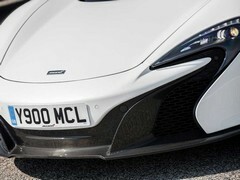 It's hard to look upon the 650S as anything other than a replacement for the 12C, even if the official line is that the two cars complement each other and will both remain on the McLaren pricelist. Execs and engineers are mindful of their language but can't completely hide the admission that elements of the 12C weren't quite there from the off. And the intervening time - then the P1 - have given experience and opportunity to improve. 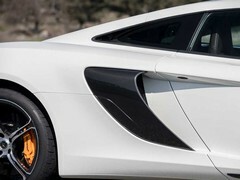 Upgrades have been applied along the way to iron out glitches and improve performance but you get a sense the 650S is the car the 12C was always meant to be, or at least the one McLaren hoped it could be. It basically has everything we like about the 12C - the fabulous ride, the confidence inspiring ergonomics and visibility, the combination of crazy performance and liveability - but is significantly faster, with improved feel and a sense of polish not seen before. Up to a point. The window on our test car didn't quite reseal properly after dropping it for a tunnel noise test, meaning blustery progress up the motorway, but at least the nav worked properly. Does the addition of the P1 corporate face work? 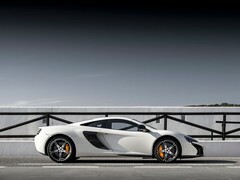 If you'd never seen an original 12C you'd probably say yes but, on reflection, the transplant isn't entirely seamless. On the P1 it melds into that beguiling mix of organic shapes and exposed mechanical parts - a bit like Arnie's Model 101 Terminator stripped of his fleshy tissue. 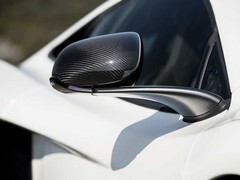 But on the 650S the swoopy curves jar somewhat against the more angular 12C body, enlarged side scoops being the only real visual difference aft of the A-pillars. Enough aesthetic hand wringing though. Violent stabs of acceleration between lumbering tipper trucks up the Ronda road out of Malaga prove that, yes, the 650S has the kind of punch that can leave you feeling a bit queasy. Or bimble along, slurring its gears and generally mooching about like a normal car. There's a bit more meat to the steering but even with a significant increase in spring rates - plus 22 per cent front and 37 per cent rear - it still has that floaty sense of comfort unique among contemporaries. 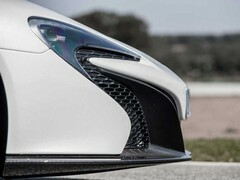 It's not until we reach Ascari that some sense can be made of the performance upgrades, most specifically the steering and turn-in, the brake pedal feel and the recalibration of all the clever electronic systems like the roll cancelling Proactive Chassis Control, Seamless Shift Gearbox and active aerodynamics. 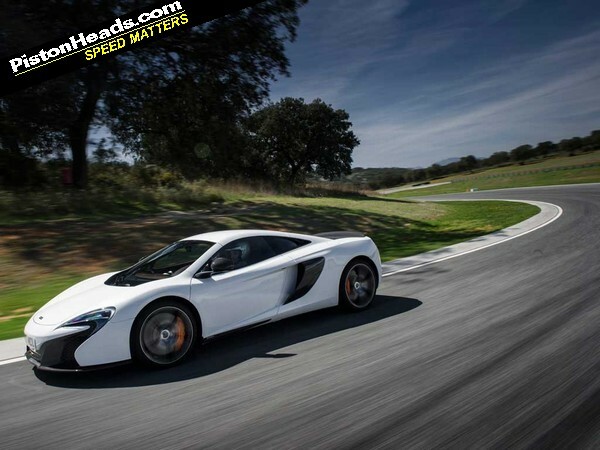 Ascari is a technical track but there's a brutality in the way the 650S rips it apart that leaves you reeling. The noise - ferocious induction air and an exhaust big on volume and presence if not exactly pleasant - prepares you for the way it drives too, the 650S promising 12C approachability laced with a bit of the P1's explosive lunacy. Having appreciated the much improved brake pedal feel (ceramics are standard) on the approach a corner the next big thing you notice is a significant degree of extra bite and weight to the steering on turn-in. The 12C was never sloppy but the way the 650S attacks the apex leaves you cursing your lack of bottle, painfully aware the front axle had much more to give. 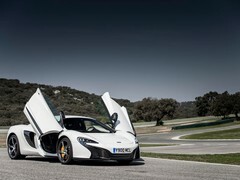 Contributory factors to this include redesigned front top mounts, improved downforce at the front of the car (those 650S branded side strakes are more than trim elements), that increased rear stiffness and bespoke 'MC1' Pirelli P Zero Corsas with significantly sturdier tread blocks (McLaren claims 13 per cent stiffer) and improved compounds. For more on the tech see the full press pack here. As that initial turn-in phase subsides your attention is drawn to the power delivery which, again, you've probably been unnecessarily cautious with. For all its straight-line savagery you can get on the accelerator much, much earlier than you'd expect in the corner, the throttle calibration brilliantly matched to the boost and never unsettling the chassis. Unless you ask it to. Early in the Ascari lap there's a fast left into mirror-image right, the transition handled with a quick lift and the power you'd started feeding in from the second apex bleeding into a delicious smidge of oversteer on the exit. Flick the right side of the rocker-style paddle and you get to enjoy another of the 650S's new party pieces - the 'inertia push' upshift that uses kinetic energy built up within the engine to force through the shift with an exhilarating punch in the back. It's only enacted when you're in the Track powertrain mode and at the upper limits of the throttle but is still smooth enough to deploy when the chassis is loaded up. So much for the functional improvement; 'cylinder cut' interrupts the spark from the engine briefly to ignite a flare of exhaust noise for a bit of aural garnish on top. With or without such gimmicks you may have gathered but the 650S is a properly exciting car to drive fast. But it manages to do this without being aloof or reserving its true talent for just those upper reaches of its performance envelope. 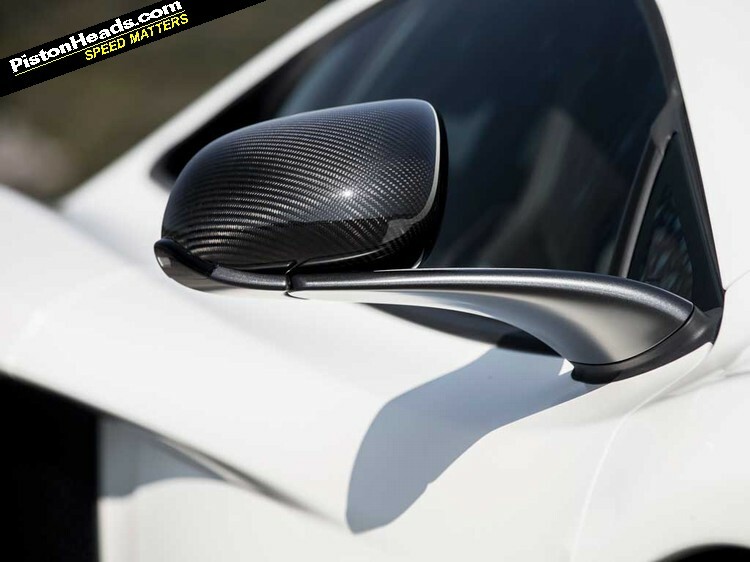 There's a wide and accommodating window in weight transfers and those transient moments where the car is floating on extended dampers over crests that are beautifully transparent and full of information about the available options. Put simply there are no nasty surprises and plenty of delights. And the harder you push it the better it gets. Drive neatly and smoothly and it'll ruthlessly dissect a track in a way you'd expect. But when you start getting scrappy and more aggressive it responds in kind. Really stamp on the brakes, ride the inside wheel over the kerb, get hard on the power earlier than you dared previously and the 650S gets more playful still, the confidence from the brake pedal feel, the steering and seemingly unshakeable front-end grip matched with a wonderfully predictable shift in balance to the rear as the power feeds in. Do you miss a mechanical diff, active or otherwise? Not that you'd notice, Brake Steer both aiding that turn-in but willing to let the rear axle relinquish its grip smoothly and predictably for a lovely throttle controlled balance on exit. As raised by Harris on the P1 test you sense how hard the tyres are working to cope though. The demands on them are huge and the Pirellis stand up to the heat and abrasion of the Ascari lapping remarkably well. After half a dozen circuits you'd expect them to be a soggy mess of melted rubber but the McLaren guys are confident that with correctly monitored heat cycles and pressures they've got staying power as well as grip. But if you're going to drive your 650S to the full extent of its abilities expect to be on first name terms with your local Pirelli stockist. 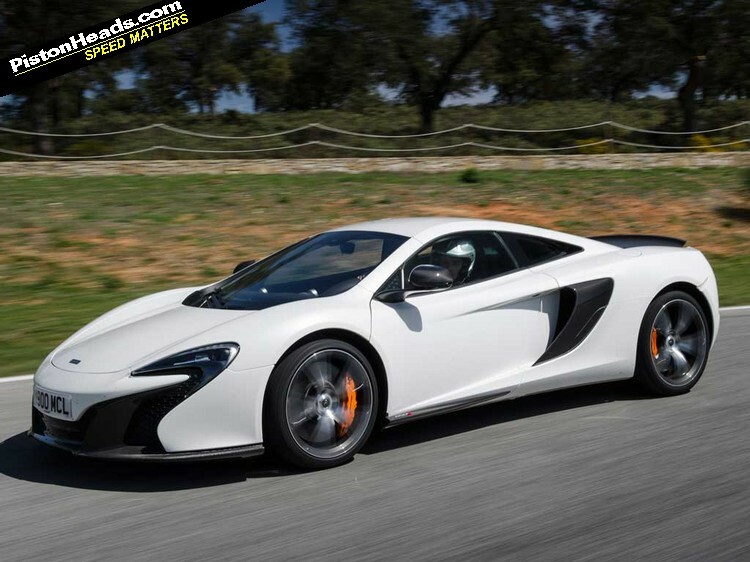 The drive back from Ronda permits a little more time for reflection on the 650S as a road car. Its pace is such you really have to watch yourself, the local feds well aware of the presence of a supercar launch on their local roads and potential speed differential with sleepy Spaniards problematic. 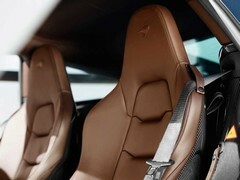 The better to cut back and enjoy the 650S in its more mellow settings, appreciate the visibility, the cool modernity of the interior design and the lack of compromise on the luxuries. McLaren is very specific in stating the 650S is not the Speciale ("What, that slower car?" chuckles a mischievous Chris Goodwin) to the 458 Italia and no stripped out track wannabe. It's a nominal 6kg lighter than a 12C, leaving the door open for a more minimalist version if the market demands. As it stands 1,330kg dry is 40kg more than a Speciale by the same measure but 50kg lighter than the 1,380kg quoted for the standard 458 Italia, the latter figure cheekily arrived at with optional forged wheels and fixed-back racing seats if you read the small print. Effectively then a 650S is a passenger lighter than a similarly equipped 458 but also has 489hp per tonne over the Speciale's 469hp per tonne, never mind 45hp and 102lb ft more. Does the market demand a stripped out version then? Product development director Mark Vinnels pouts at the question, admitting the door is open to go in that direction in future if required. 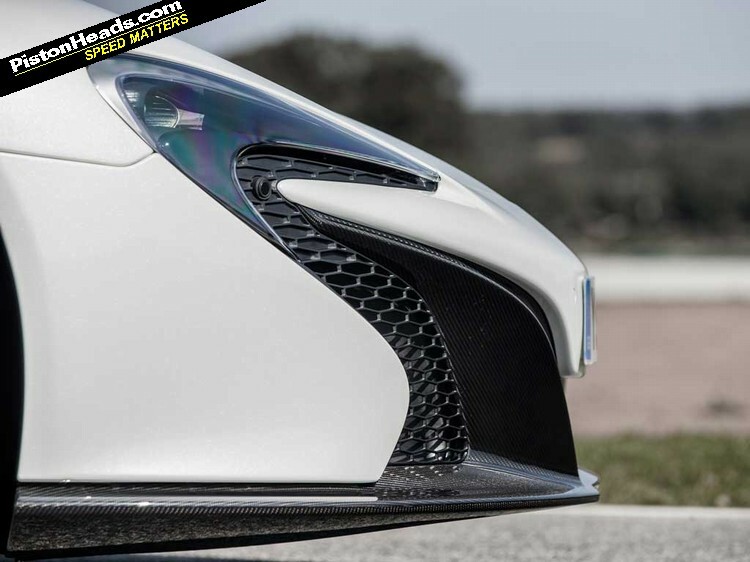 But given the 650S's expanded track abilities come at no cost to its wider usability why would you want to? 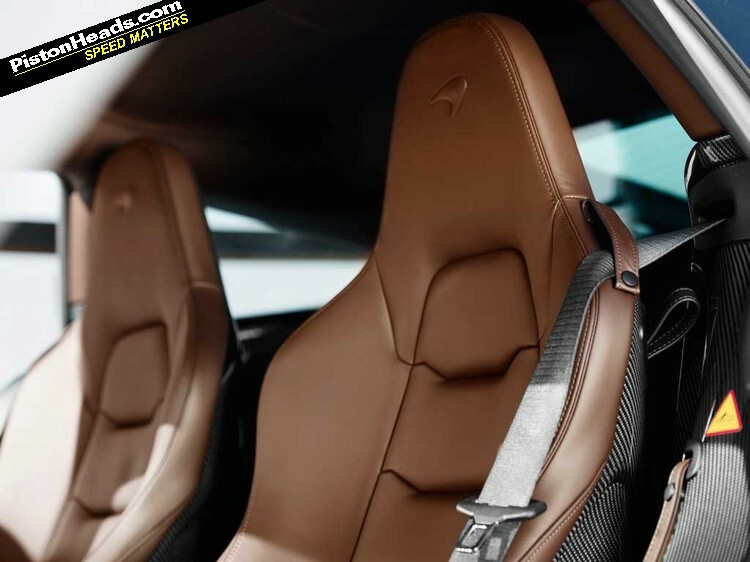 Sling a set of optional P1 fixed seats (£5,150 more, 15kg less) and an Alcantara wheel into the configurator if you fancy more of a circuit vibe and be done with it. And that fun factor thing? To be explored in more detail following a chat with that man Goodwin but his parting shot summarises it neatly. "The trick is to build a car that's got a nice big operating window that doesn't just have one sweet spot," he says. "Ultimately if you lap this Ascari circuit 10 seconds a lap faster or slower it should still feel fun." Video lap of Ascari here. Yes please, I'll have one of those in volcanic orange. 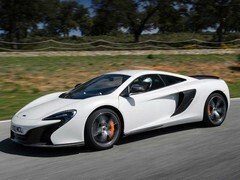 Great work McLaren. Roll on Chris Harris vid. Positive evolution - definitely getting better in every way. Looking forward to Mr H's video. Another proud to be British moment - superb......(apart from the stool-brown interior). And I'm still not comfy with the left and right extremities of the back end either, but it wouldn't stop me having one over a Fiat 458.